It’s pitch black outside and you need to conserve as much power as possible so you can stay out in the woods dry camping longer; it’s only 7 pm though and bed times no longer matter. 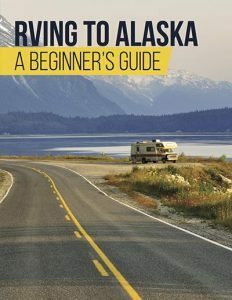 You switch on your RV lights and proceed to enjoy the great outdoors. 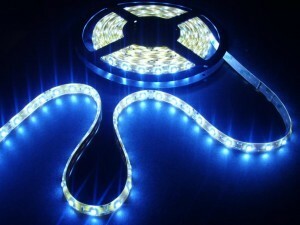 LED lights use less power to shine and produce more light. 12 volt incandescent bulbs consume 1.6 amps of power. 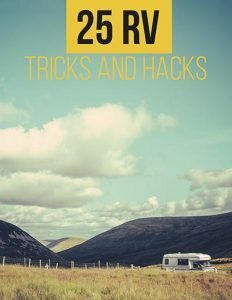 A 12v RV LED light consumes 0.12 amps.If your RV has 24 incandescent bulbs that need 1.6 amps of power each, you will be using 38.4 amps to power them all. If all your bulbs were LED, you would only need 2.8 amps to power all 24 bulbs. RV LED light bulbs are more expensive but the power saving costs and long life make up for the initial purchase price. 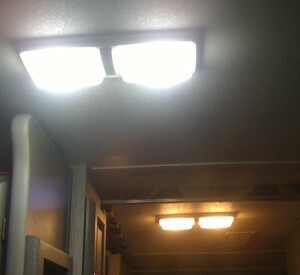 Most of the lights in your RV are incandescent bulbs or halogens. They are affordable, burn bright and do not hurt the eyes when you look at them. On the other hand, they burn hot. 12 v LED RV lights are available in the following color ranges;Warm white, Cool white and Natural white. Cool white seems brighter than the normal white and sometimes looks bluish. Warm white is designed to have a similar glow as incandescent bulbs. Natural white lies somewhere in between cool and warm. 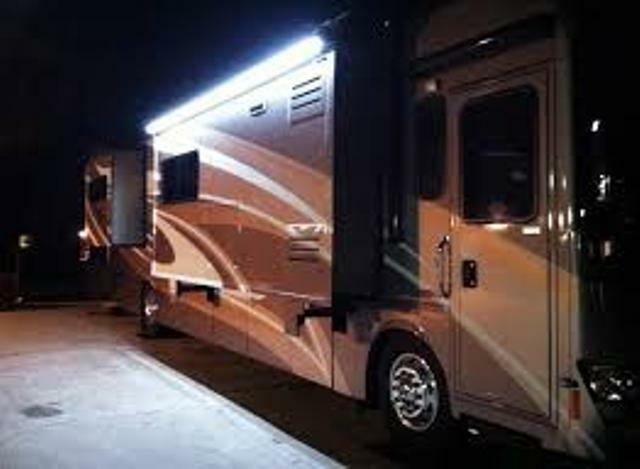 There are RV LED lights for the awning, interior, LED RV tail lights and special lights made for the exterior that are motion sensitive or have bug repellant. Some RV’s have at least 24 bulbs. Count the amount of bulbs you need to change before heading out to the store. Installation requires no special tools. Simply remove the dome housing of the fixture. Unscrew the incandescent bulb, put in the new LED bulb and you are done. RV LED lighting can and will save you valuable boondocking amps. Though these bulbs will cost a little more upfront than the incandescent bulb, they last up to a decade and provide massive energy savings.